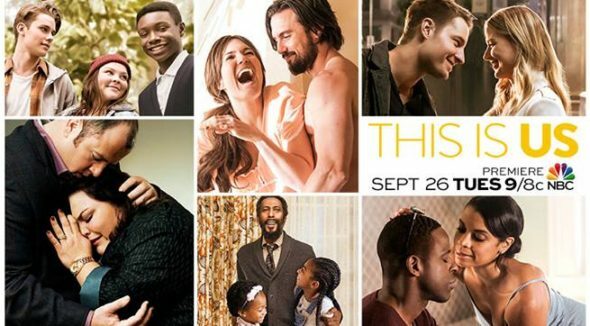 Fans shouldn’t have to spend time wondering whether NBC’s This Is Us TV show will be cancelled or renewed. The Peacock Network picked up a second season and a third season as well, back in January of 2017. And they did so with good reason. This Is Us even outperformed the ratings juggernaut which is The Voice in its 2016-17 demo ratings. Will the network’s faith be rewarded or could this early third season renewal end up cancelled? Stay tuned. A comedic family drama, centering on the Pearsons, This Is Us stars Milo Ventimiglia, Mandy Moore, Chrissy Metz, Justin Hartley, Chris Sullivan, Susan Kelechi Watson, Jon Huertas, Alexandra Breckenridge, Hannah Zeile, Niles Fitch, Logan Shroyer, Mackenzie Hancsicsak, Parker Bates, Faithe Herman, and Eris Baker. The NBC TV series follows a group of people who were born on the same day and explores their connection, the meaning of family, and the nature of love. This Is Us, season two, kicks off with the “Big 3’s” 37th birthdays. Meanwhile, Randall (Brown) and Beth (Watson) mull over a big life change; Kate (Metz) ponders a new passion; and Kevin (Hartley) tries to strike a balance between the professional and personal. In the past, Jack (Ventimiglia) and Rebecca (Moore) have to handle the consequences of their big fight. 3/14 update: You can see the rest of the latest night’s ratings. For comparisons: The first season of This Is Us on NBC averaged a 2.68 rating in the 18-49 year old viewer demographic and 9.843 million viewers. What do you think? Do you like the This Is Us TV series? Should this NBC TV show be renewed beyond the third season? I only watched the first season. I kept waiting to cry, because everyone else said they had cried. Instead I felt as if I were drowning in schmaltz and self-pity. These people did not have any problems worth my caring about, except for the black sibling’s father (great actor! ), who had cancer. The whole show should have been about him. I would have watched that. Sorry, this isn’t me or anyone I want to know. Now that season 2 has ended, ciA2QCompared to last season, the quality of the show was down. I felt more disinterested in the program by season’s end and I’m not really interested in seeing a season three. Even this blockbuster has lost 1/4 of it’s viewing audience since October. Network shows are fading fast. The characters of Kate and Kevin and their all about me attitude are grating on me and I wish they’d go away and never come back. The only good part of the show this season are Randall and Beth and their family. I’m writing to inqure why this show is so popular. It’s well written, but the story is just in general very boring. Can we please start a petition to cancel this show. Please, Mandy Moore makes me want to gouge my eyes out as an actress. The writers are letting us down this season. It’s still worth watching but it’s lost it’s magic. Taking the easy route with formulaic storylines. This season is not doing it for me. I don’t think it’s the writers’ intent, but except for Randall and his family, I’m liking the characters less and less.